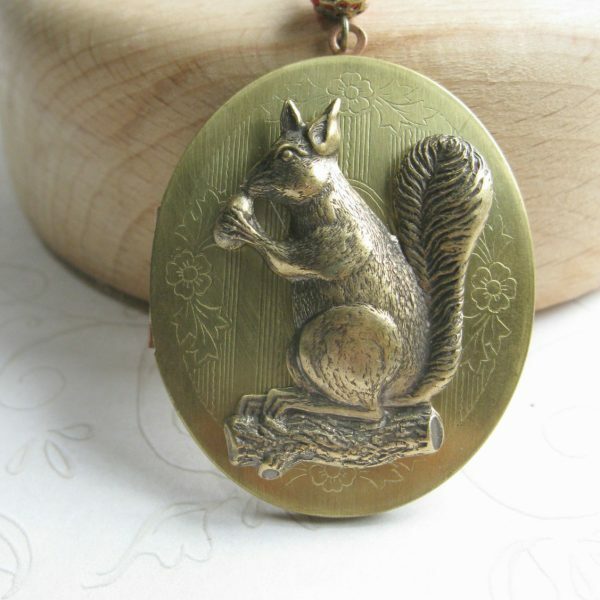 Here is a gorgeous vintage locket necklace, featuring a large brass oval locket, which has a beautiful engraved floral pattern on the front. 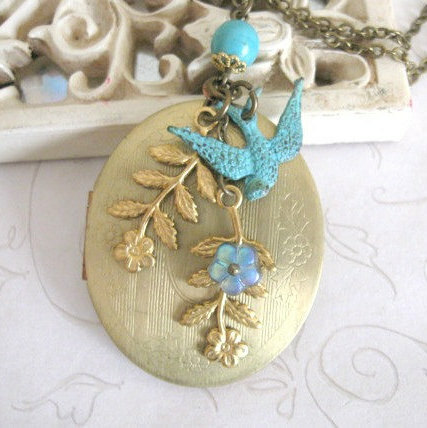 I have adorned the locket with a lovely verdigris bird and two flower vine charms, which dangle in front. 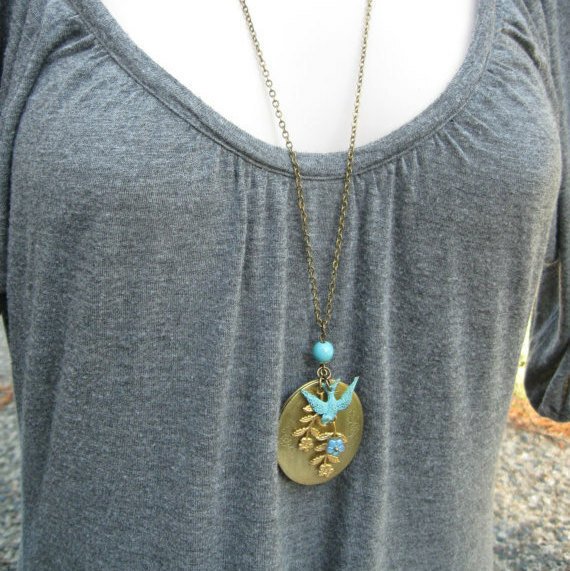 Locket comes on a long brass chain with a solid brass lobster style clasp. 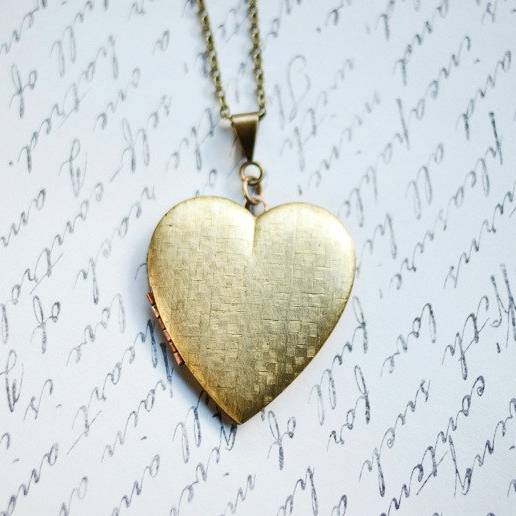 Perfect for photos or other keepsake items. 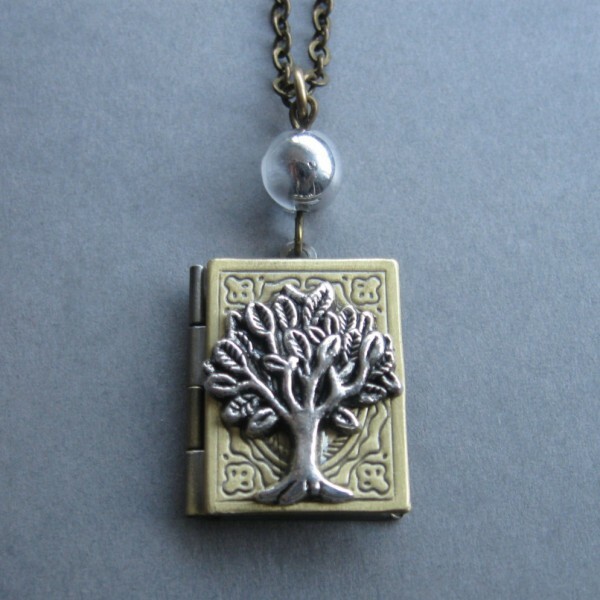 Chain measures: 28″ long unless otherwise selected.